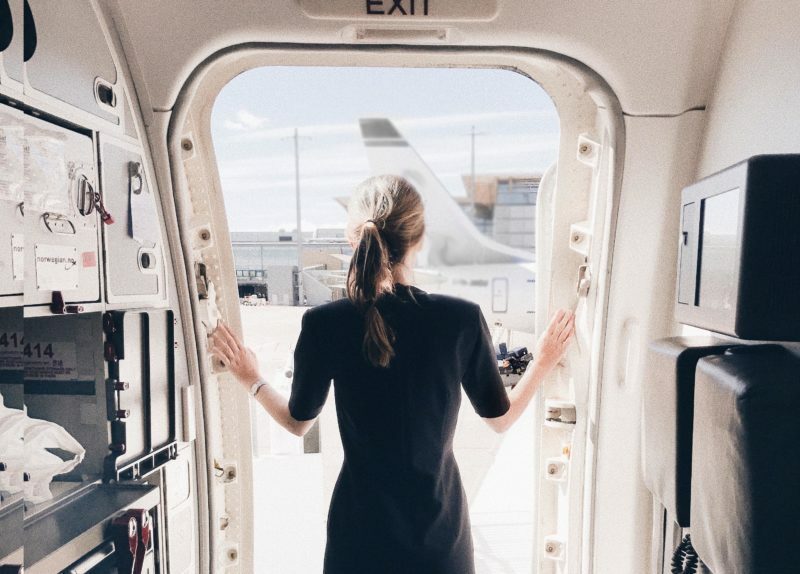 We talked to Linn Isabel Berg-Pettersen about her experiences with every phase from recruitment and training to graduation and ultimately what it’s like to work as a Flight Attendant/Cabin Crew. Linn Isabel currently work as Cabin Crew for our client Norwegian Air on Short Haul operations at the Oslo base. Hopefully this story can give you a better insight to what may be expected when working as a Flight Attendant. It’s always important to think about your motivation before applying for a position as a Flight Attendant/Cabin Crew. To become a Flight Attendant you’ll need to have people at the heart of everything you do. Taking care of your passengers will be your passion; and you’ll thrive on doing it on each flight, at any time of the day and night. After submitting your online application you may be invited to attend an “Assessment Day” – if you meet all of the requirements. The Assessment Day will include a presentation of the job and company, a group assessment as well as an individual interview. Shortly after submitting my application I received an invitation to join the assessment day. The assessment day in cooperation with Norwegian was very well organized, and I got a professional first impression of OSM Aviation. After passing the interview stage you will go on to start your training. The training is four-weeks long and includes theory, CPR, practical swimming training, tests and simulator training. The training was very good. It was varied between theory and practical training. Over all it was very intense, but educational. Socially I also experienced very good group dynamics. OSM Aviation did a good job in hiring people with different backgrounds and life experiences, and the instructors did a good job socializing the group as well. During the course, I also made a new best friend, and we’re still talking to each other every day. Sometimes we even get to fly together! The training was not difficult per se, but you have to have a special interest in the aviation industry, because it’s a lot of technical knowledge. It’s important that you are aware of the main tasks of cabin crew which is safety onboard, and not only serving coffee. If you pass the theoretical and practical training you will attend the last stage which is the graduation! I felt a great sense of achievement after completing the training, therefore I enjoyed the graduation very much. OSM Aviation sent representatives to congratulate us. We all got to wear our uniform for the first time, which made us feel very proud! We start the day with a briefing with both the cabin and cockpit crew. We check all the emergency equipment before we welcome passengers onboard. After take off we make sure all our passengers feel comfortable during the flight. At the end of the day, after flying two to six sectors, we either go home, or to a hotel. WHAT DO YOU DO DURING LAYOVERS? The whole crew socializes, we go out for dinner together, or we explore the cities we go to. I very much enjoy layovers in northern Norway, due to very good hiking locations, and beautiful nature. I’m very lucky I get to explore how beautiful Norway is at work. On our specific fleet we only have layovers in Scandinavia, but we fly to all over Europe. My favorite routes are flying to southern Europe. It’s always nice to see the sun, even if it’s just for an hour! As a cabin crew in Norwegian you feel like a part of a family. Working in the cabin as a flight attendant is a lifestyle, and a culturally accepted profession because everyone thinks it’s an interesting job. And I absolutely love it! This is my passion, and I cannot imagine doing anything else. HOW IS IT TO BALANCE WORK AND LEISURE? DO YOU FEEL YOU’RE MISSING ALOT WORKING AS A FLIGHT ATTENDANT? It is true that the job can be challenging on your social life. You do miss some important events at home because the airline operates flights on every day of the year, and at all times of the day and night. However, we get a good amount of time off each month, and we get to spend time in some fantastic destinations – so it more than makes up for it! When working as cabin crew, you make a lot of new friends all the time. I always have people around me, and I usually make plans with my colleagues when I’m off work.